Posted on March 24, 2017 at 9:46 am. 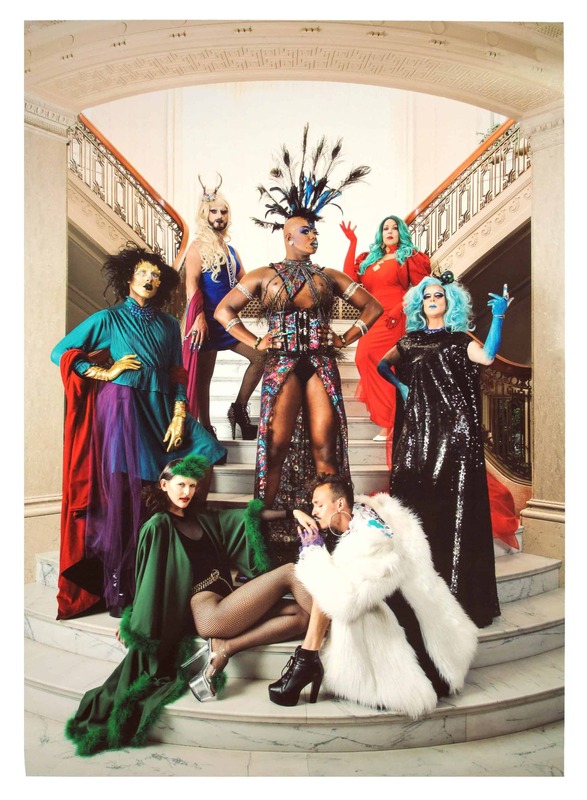 Selected for the "Visual Chronicle of Portland," Holly Andres’s "Critical Mascara series" highlights the annual competitive drag event held during Portland’s Time Based Art festival. PORTLAND, ORE – A special exhibition focusing on new acquisitions to the Visual Chronicle of Portland collection opens at the Portland Building on March 28th. The Visual Chronicle of Portland, a collection of original works-on-paper that portray artists’ perceptions of what makes Portland unique, has been steadily growing since its inception in 1985 and now boasts 356 works by over 200 different artists. RACC normally rotates sets of work from this well regarded city-owned collection throughout public spaces in City of Portland and Multnomah County facilities, but this special exhibition offers the public a unique chance to see these recent acquisitions from the 2016/17 purchase in one place. Viewing Hours & Location: The Portland Building is located at 1120 SW 5th Avenue in downtown Portland and is open from 8 a.m. to 5 p.m., Monday to Friday. This exhibition of new acquisitions from the Visual Chronicle of Portland opens Tuesday, March 28th and runs through Friday, April 21st. The exhibition is free and open to the public.